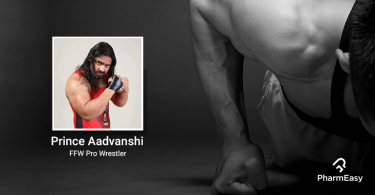 For a fit body, you need an active lifestyle which is devoid of stress. We all know this, but how many of us actually follow it in this fast-paced and stress-laden life? High cholesterol is a major trigger for the onset of cardiac ailments and other diseases. It has the potential of interfering with the blood flow and damaging the arteries which may also result in a stroke. Your doctor would tell you that not all the cholesterol in your body is bad and high –density lipoprotein or HDL is actually good for your body as it helps in transporting the excessive LDL out of the body through the liver. But how do we know what is good and bad cholesterol? 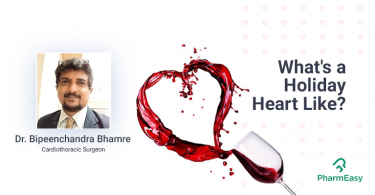 Read on to know what Vinata Shetty has to say about cholesterol management in the digital age. 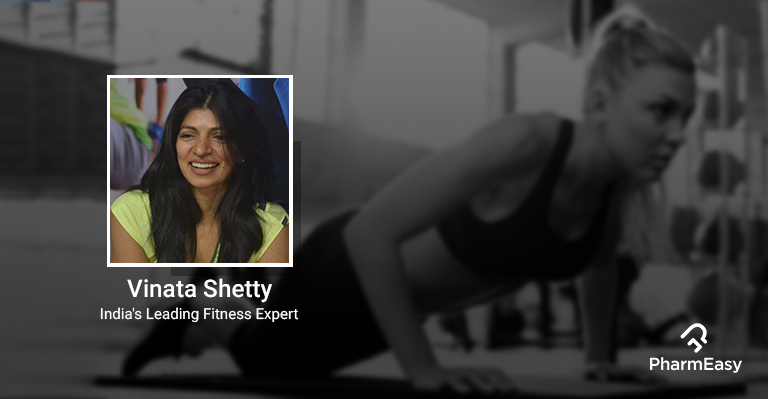 Vinata Shetty is a certified trainer and has trained over 1000 instructors to date. The Reebok University Master Trainer has been a part of the fitness industry for more than 18 years now. She is the brand ambassador to Gatorade, the fitness drink for sports enthusiasts and has been associated with many fitness conventions as a presenter. She has also held many corporate seminars and workshops to make people aware of the benefits of living a fit and healthy life. She is also an avid writer who has been featured in major fitness and health magazines. Often, high cholesterol level is a condition which doesn’t present itself with symptoms and many are not aware of it till it worsens and causes further damage. While there are many contributing factors which lead to high cholesterol levels, one can definitely manage it by good lifestyle changes and healthy eating habits. Stress Levels: When your body is stressed, it releases cortisol. High levels of cortisol in the body increase blood cholesterol and blood pressure which might lead to cardiac ailments. Diet: An increase in fast foods and trans fats in diet become a major risk factor leading to high levels of cholesterol in the body. Unsaturated fats and too much of fried foods can spike cholesterol levels almost immediately. 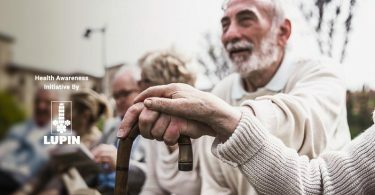 Lifestyle: If you have a sedentary lifestyle without adequate exercise or physical work, you have a high risk of developing a high level of cholesterol in your body. Eating soy, nuts, oats, barley, whole grains, fruits, and vegetables coupled with an active lifestyle and plenty of rest can help you manage cholesterol effectively. It is always better to avoid developing tendencies of high cholesterol level by manging it through diet, discipline and exercise. Prevention is always better than cure. Child Obesity- Who is at risk? Of late, it has been observed that many children are way off their normal growth chart and at a risk of being obese. 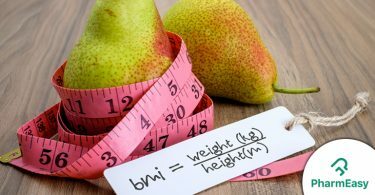 When a child’s weight trajectory is not proportional to his/her height it means that he/she has a lot of fat accumulation which is not healthy for their growth. If left unchecked, this might lead to various chronic ailments as they grow. Lack of Exercise: Parents are so focused on academics and marks that they don’t involve them in sports and other physical exercises. This not only increases their stress levels but also the level of fat accumulation. Fast Food Culture: An increase in sugary foods and food rich in trans fat has also contributed to the rise in child obesity. Upholding a healthy lifestyle and cholesterol management becomes a natural process if lifestyle habits are taken care of at an early age and kids are educated about the benefits of living healthy. Parents must make more efforts to promote health cautious eating habits at home. Along with that, families who spend time doing physical activities such as playing sports together, are happier and healthier. Discouraging sugary and cholesterol-rich food – Avoid giving your child food high on sugar and trans-fat. Don’t give chocolates and fast foods as a reward. A family which plays together stays together – Indoctrinate the habit of cycling or exercising together as a family. Keep up with your exercise regime –. A balanced diet combined with any sort of physical exercise goes a long way. Make sure you work out consistently. Managing your cholesterol levels is very critical for your overall health. An active lifestyle coupled with a good diet is essential to keep your cholesterol levels in check. You must set a good example yourself to raise an awareness among your kids so that they start believing in it and practice it as part of their daily routine. There is nothing you don’t know about cholesterol management; it is just about taking it seriously and working towards it. Make short goals and work towards achieving it instead of taking a huge leap and failing miserably.